I have been following Tim Allen‘s wonderful Artisans Project ever since he began posting the first pictures from the series taken with his Fujifilm X100 and X-E1. 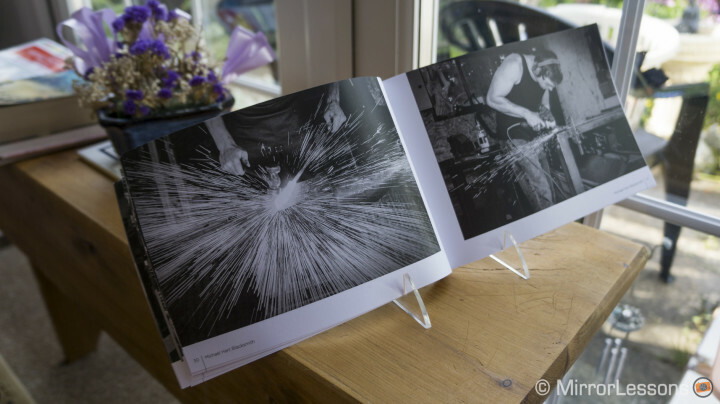 In a world where people raise money by performing silly antics, it is refreshing to see a someone use their photography skills to support a charity, while telling a story and promoting the work of local artisans in the process. 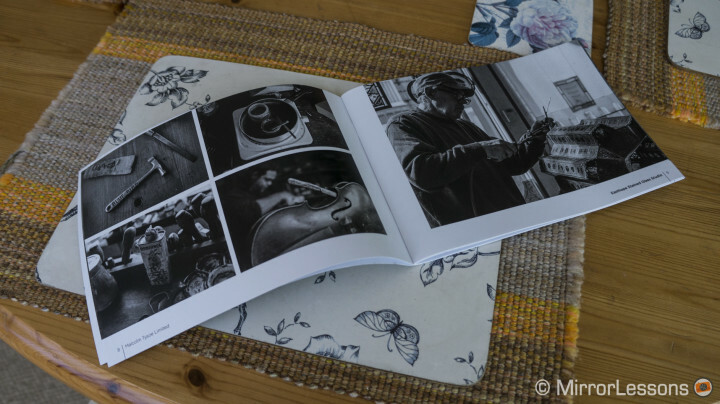 The 36-page Artisans book is a collection of photographs that documents various traditional crafts through black and white photography. 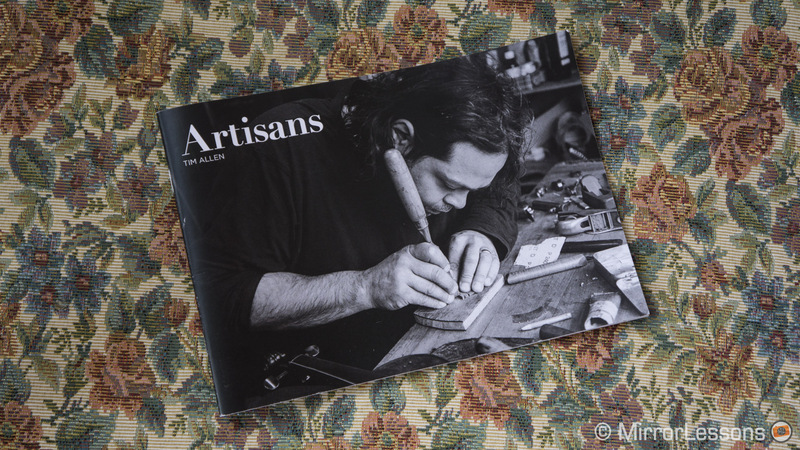 From blacksmiths to stained glass makers to monumental stonemasons and boat restorers, Tim touches upon a wide range of crafts in his reportage, demonstrating the skill and attention that goes into the creation of the objects that play a part in our daily lives. 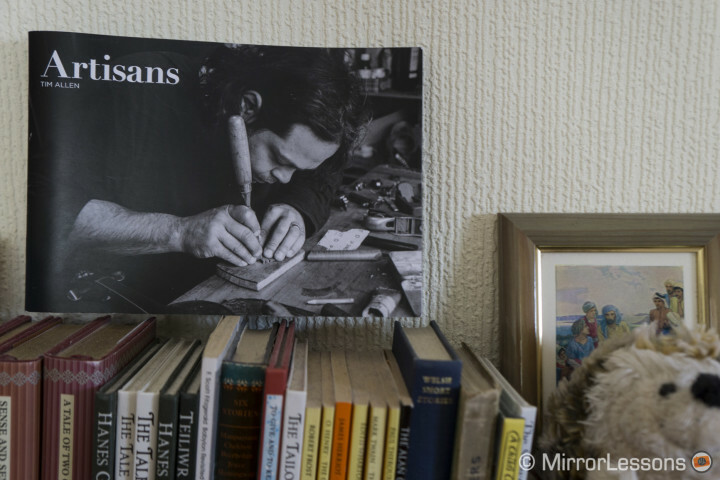 Like Tim’s previous charity book 3 Balls £2.50, which raised a total of £456, the Artisans book supports The National Ankylosing Spondylitis Society. NASS is a debilitating condition that has personally affected the author, who began to experience the first symptoms when he was only 21 years old. At the time of writing, he has raised over £1000 for the society with his second effort. 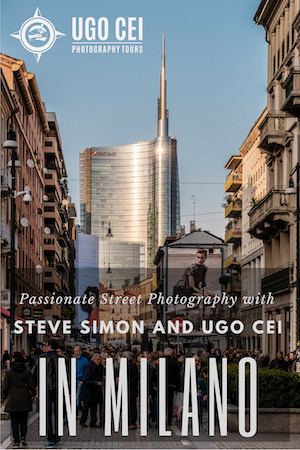 Those who buy this book will enjoy Tim’s intimate style of photographing the various artisans. He likes to get up close and personal as they work, focussing on hand movements and small details, such as a hammer lying on the table or a hook hanging from the ceiling. Being in black and white, your eye is less distracted by superfluous details and more attracted to the action. It would be wonderful to see more photographers use their skills to raise money for a good cause as Tim has done with Artisans. The great thing is that everybody wins: the donator receives a beautiful book and the satisfaction of giving to a good cause, the photographer promotes his or her work, and the charity receives funds for research. Congratulations, Tim, on the wonderful project, and we wish you the best of luck! If you would like to support Tim Allen and his charitable work, you can buy Artisans from his website. You can also follow his work on Facebook and Twitter.